University Press of Florida, 9780813060088, 215pp. 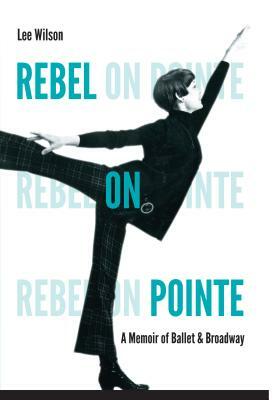 In this uplifting memoir, Lee Wilson describes how she grand jeted from the stifling suburbia of the 1950s, a world of rigid gender roles, to the only domain where women and men were equally paid and equally respected--in grand, historic dance theaters and under the bright lights of the Broadway stage. Short, plump, pigeon-toed, and never good enough for mom, Lee Wilson dared to dream she could grow up to be a star. In 1962, fresh out of high school and a mere sixteen years old, Wilson left her country and the comforts of home to make the five-day journey across the Atlantic. She saw Europe as an attractive alternative to New York, where great American ballet companies were struggling to survive. That same year, Wilson made her professional debut in Monte Carlo in a command performance for Prince Rainier and Princess Grace. The following summer, as she danced across Europe, she thrilled to the sound of her first bravos--and never looked back. After touring Europe and dancing with the Metropolitan Opera Ballet in New York, Wilson set her sights on Broadway, where she danced in many famous shows including Hello Dolly She was in the original national company of A Chorus Line and played Patty in the original Broadway production of You're a Good Man, Charlie Brown. Wilson expertly depicts how her profession--at times considered so rigid and exacting--was a leading force in the liberation of women from the prison of patriarchal post-war society. The hard-won gains and the maddening setbacks of the gender revolution are seen here through the eyes of a young dancer searching for freedom, one "pas" at a time. Lee Wilson danced for royalty in Europe, gun-toting revolutionaries in Algeria, American aristocrats at the Metropolitan Opera, and a galaxy of stars on Broadway. She is an award-winning writer, producer, and actor living in Los Angeles.